In our quest to investigate every single part on these fascinating cars, we now come to the lowly door latch. I sandblasted mine today, and I find under the non-original and original paint layers, a copper color. It looks like plating to me. There is some small remnant of silver color over it. To the question for today… Were these things plated? I thought they were installed and the doors aligned before the body received any painting at all, and these would have been painted over. 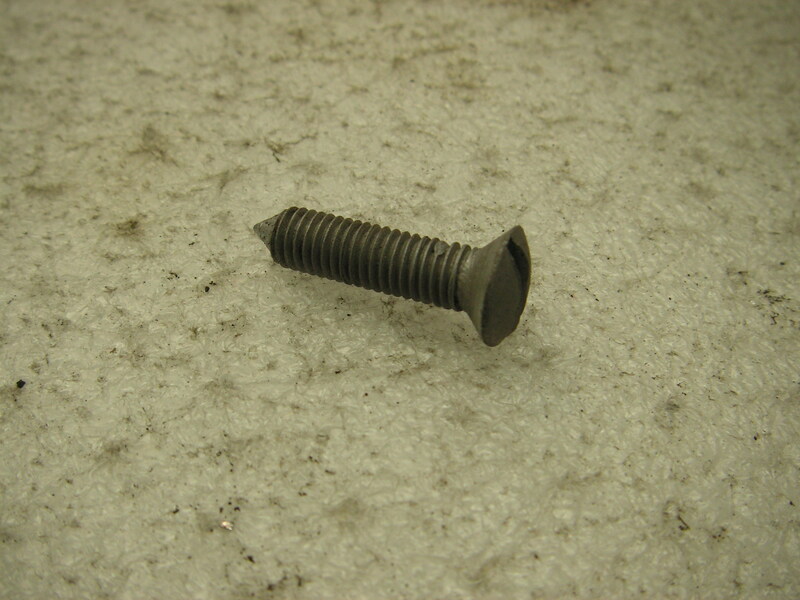 I will also need some of these 1/4-26 BSF x 1" slotted oval head screws for the latches. Does anybody know a source? There is actually about 3/4" of threads but if I find 1" long I can cut the chamfer tip in my lathe. I have found BSF flat heads but not oval heads. Rob, what specific part number do you need, how many, in what condition, and how soon? 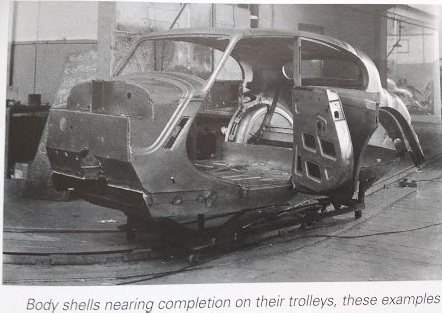 It is conceivable some could be harvested from my Mark V saloon parts car. That car literally is a rat rod, stored outside under a tarp in California after 40+ years in a Connecticut barn. The screw is BD.1490/3 and out of 8, I broke 3 and 1 has a chewed up head. So I need 4. No hurry. I’ll probably discover something else I forgot. This number is not in the hardware listings, but I see BD.1490/2 is an instrument head 1/4 BSF x 3/4" set screw with pointed end and chrome plated, quantity 8, so that may be it. Yet another misprint. https://www.stainlessmiddleton.co.uk/ is a fallback if it turns out the latches were chromed and I decide I need stainless. I have not found whether the latch was plated or not, but I did find evidence that they were installed after painting. This file is not real great, but in the book I can see that there is no latch on the right rear, no lock in the left front as well. This is not a prototype as it has the side vents making it later than 621837. Here’s one on an unrestored car. and the rear on the same car. Thanks, Peter. Also interesting to note flat head screws, where mine has oval heads. 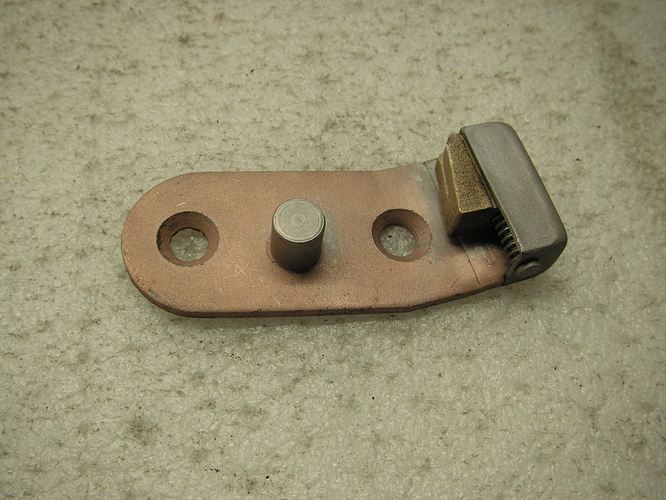 Hi Rob, here is a picture of the flathead screw holding Mark V door latches. Each pair on front and rear doors are flat, on my driver and my parts car. Also in photo is screw from the door lock mounting. These are instrument head on both cars. If I had to take a wild guess, it seems to me Jaguar used oval head screws where they were chrome plated and flat where they weren’t. I’m worried now someone will come up with an exception. I have oval or instrument heads on all my locks and latches. I also note the locks have a dull gray surface treatment. 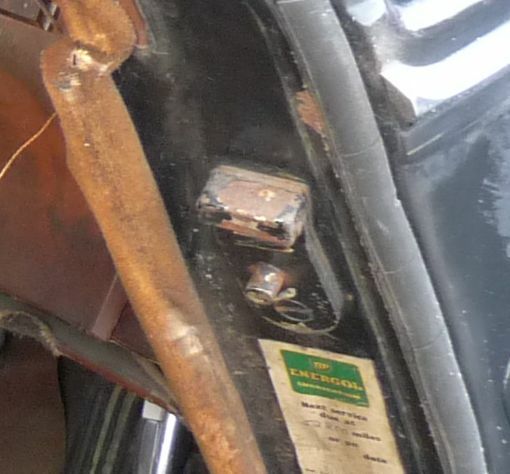 I think we’ve discussed that on the XK forum, as it is seen on XK120 boot lid latching bars. Mark V too. Whatever it is, it has prevented rust pretty well on my locks. Maybe the latches had the same treatment? The Mark V latch screws on all four doors of both my cars have flat, countersunk, parkerized top surfaces. The photo above of one removed from my parts car shows 0.75" thread, pointed end. None of these are BD.1490/2. They may be from the BD.1494 series (e.g., BD.1494/8?). Since the door lock mounting screw was chrome, instrument head, for style the 1490/2 makes sense, but it looks like on my cars the factory used a flat head which makes sense given the latch mechanical motion needs. The chrome instrument heads C.2016/1 were used in boot floor so presumably boxes of both stocks were not that far apart in the factory. it may not have been in tefactory. Most cars[ or at leastmany] cardelivered here had paint that had not survived shipping well. So were stripped right down and repainted. 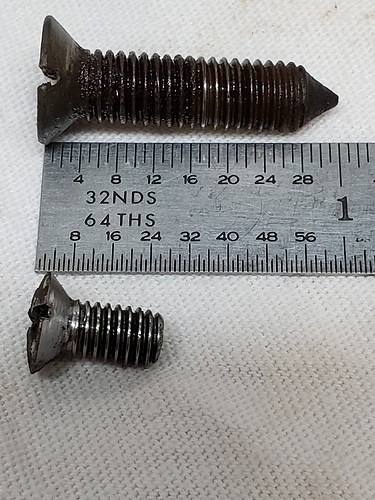 The screws may have been mxed up in re-assembly. My Mk VIi had been done like this. Manufactured as bronze, it was black, Had been striped to bare metal and the only place the original colour remained was nsid ethe boot and behind the chrome trims on the B pillar. It was obviously done at the time as Brysons had blocked off the rear bumper bar holes with newspaper stuffed behind. I couldn’t find a piece with a date but found a report of the governor generals’s visit to King George… Presumably it was to be repainted and either metallics were considered a bit tricky then , or a customer came in wanting a black car.